We originally came over to the U.S. with the intention to travel across the country for three years in an RV. I love not being tied into plans, as, once you arrive in the present moment, you may just realize that the plan doesn’t fit. It’s good to be able to quickly adapt so you can move with the flow. Moving abroad takes a lot of time, money and energy, in the months before you leave your country, and the months after you arrive in the new country. Especially a move as big as ours, for as long as ours, with so many balls to juggle. So when we arrived in the U.S. last year, we didn’t have the resources to deal with getting straight into an RV. 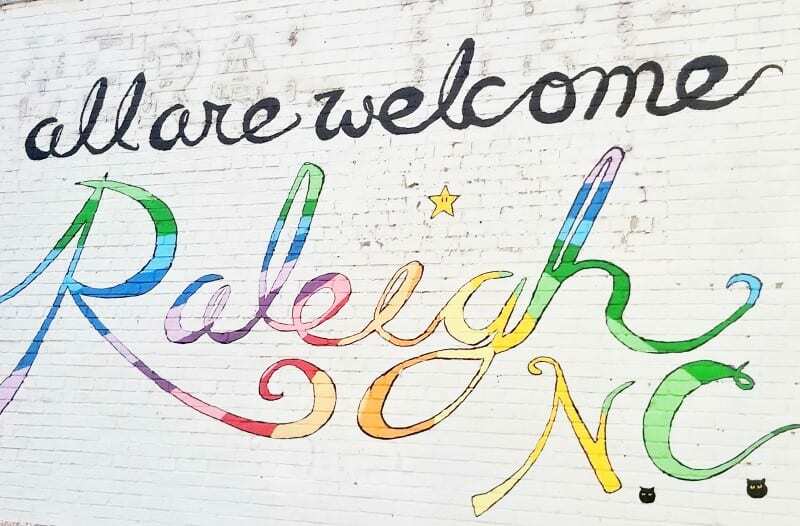 We decided to give ourselves time to adjust, save, and build up our business in the U.S. fish bowl by renting an apartment in Raleigh and use that as a base to easily explore the East Coast on shorter trips. It has served us very well. Perhaps a little too well because for the first time in our lives we are finding the process of extracting ourselves out of a place to go traveling really difficult!! I am so attached to my life in Raleigh, like I’ve never been any place before. I can understand why people just don’t want to travel, or find it difficult to detach themselves from their homes, their routines, their loved ones to go and travel. But, we do feel the time is now to finish exploring the rest of the US in an RV, as it is getting closer to the time we stop being nomadic, so we can be a part of a community, and the focus can be on the girls’ friendships and roots. If we don’t travel in the RV across the U.S. now, will we ever, and I am feeling that call to return to nature and simple living. The West Coast and Mountain states are a better region to travel in an RV. The East Coast is so compact, where heading west we’ll find open spaces and spectacular National Parks. That will become more of our focus then the in-depth cultural, historical and city type traveling we have been doing for the past year. Our apartment lease expires in November, so we are beginning our preparations to use that as an opportunity to depart. Thankfully, we have no travel booked for July and most of August so we can use that time to research, plan, and prepare. 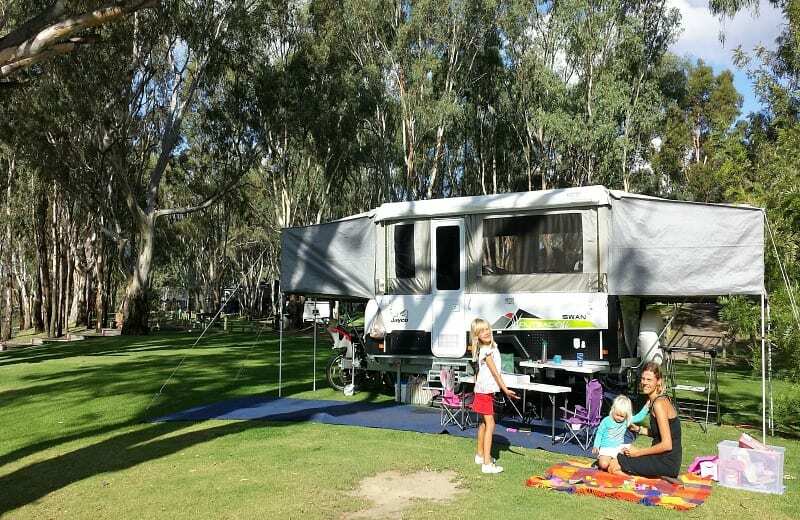 We learned a lot from our 18 month camper trailer trip around Australia, so we know what to do and how to do it right this time. Why not a Class A RV? Why not a Class C RV? What about a travel trailer? or a travel trailer (what Australians would call a caravan). We’ve gone back and forth between the three of them and have spent the past week looking at different RV sales yards to find what we think will be the perfect vehicle. It’s given us a great idea of the type of layout we want, what our must have inclusions are, price and size, and good brands to choose from. We think we’ve narrowed it down, but still have a few concerns. Originally, we wanted to do the full RV (big bus) travel and tow a small car behind. We want a separate vehicle to the home so we can easily jump in the car and explore without having to pack everything up inside the home, and worry about parking something so large in more built up areas. However after my research, I came to the conclusion it wasn’t the best money spend. RV’s are expensive, and it would give us two motors to worry about. There’s a lot that can go wrong with an engine, especially RV ones, so I really don’t want to be traveling with that concern. We considered a motor home, but again there is the same issue with having a separate vehicle. The motorhome would be smaller and cheaper than the RV, but I was annoyed after a week in South Australia in a motorhome having to pack everything up before we went exploring. Even if Craig just wanted to duck out to capture the sunset up the mountain, all of us had to pack everything up and go, which wasn’t practical or desired. So, a Class C RV would drive us insane. It’s so important you consider things like this if you are traveling long-term. Trust us from experience, long term RV travel can wear you down and sometimes it’s things like this that will send you home! So we’ve pretty much decided a travel trailer will be the best way to RV across the US – although we do have a few concerns still to iron out. Travel trailers are cheaper than Class A and Class C RVs. A travel trailer solves the separate car to home issue, while only giving us one motor engine to worry about. We will have to trade in our Kia Sedona though for another more powerful and practical vehicle that has the towing capacity for the travel trailer. But, it will still end up cheaper than the other two options. Plus with a travel trailer, we can keep it after the epic road trip across to the west is complete. We definitely wouldn’t keep a motorhome or RV, but a travel trailer we can easily pack up for other road trips we want to do on the East Coast, even a quick weekend camping trip with friends. 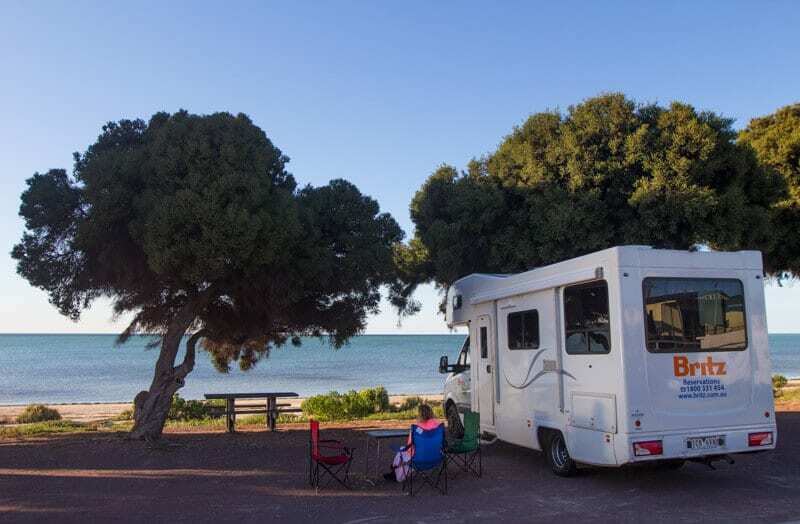 Having a travel trailer will require a bit more work setting up and packing up each time, but won’t be anything like what we experienced going around Australia with our camper trailer. We’ll be quick at getting a system together to make it easier and will be very organized with our equipment. And we’ll still be able to access the travel trailer if we want to pull over on the side of the road and get something to eat. One of our biggest concern is towing a travel trailer that’s too big and having to deal with sway, especially in the mountainous areas (Australia sure doesn’t have them) and in high wind conditions. It’s actually quite unnerving to me as I know accidents happen towing camper trailers. And having a vehicle powerful enough to tow through the mountains, and being able to stop quickly with a travel trailer behind it. These are a few of the things stopping me from a complete yes and having me teeter on the edge of going with a motorhome or RV across America. If we go with the travel trailer, it will mean making sacrifices in terms of size and length of the travel trailer, which will be hard to do. 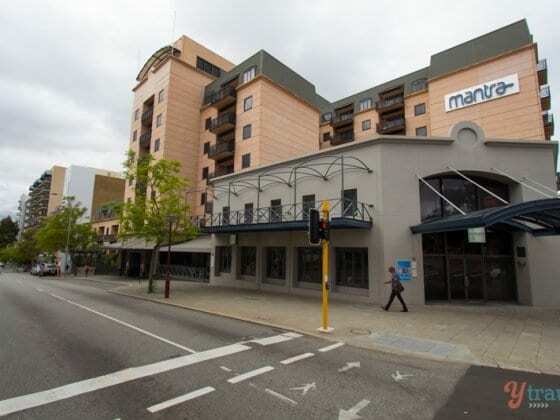 We walked into some of those smaller ones and I instantly hyperventilated, memories flooding back of us living on top of each other in our small camper trailer around Australia. That was intense and I’m not sure I want to do that again!! Knowing how we travel and how we work our blogging business, and homeschool, is essential to knowing what our deal breakers are for a travel trailer. We want bunk beds for the girls. We absolutely do not want them sleeping in the dining table area that converts to a bed. We’re up late and up early so we can work while they are sleeping. Trying to do that while they sleep it the main living area, plus the logistics of packing up and down each day, will be a nightmare. No thanks. Choose your battles. The girls want their own space, even if it’s just a tiny bunkhouse in the corner with a curtain across it. The problem with bunk beds is they add extra length to the travel trailer, which means more sway concerns. The other almost must have for me is a slide out, just to give us that extra living space inside the travel trailer, so we’re not living on top of each other. The slide out also adds extra weight to the travel trailer. I want to go minimalism and not carry too much stuff with us to add to the weight, but I’d love to take our bikes and a stand up paddle board, so we have to consider what kind of car can carry that extra weight and if it’s worth it. The only other musts for me is a decent size refrigerator/freezer (having a small fridge in our camper trailer in Australia was a headache). And I also want an oven, even just a tiny one. I love roasted anything. Healthy living is really important to us so we don’t want to make any sacrifices in that regards. Our juicer and blender will be coming with us for sure! We’ve found a couple of floor plans and brands we like, but we can’t quite get our total desired package under 28 feet which is our desired maximum for towing and for accessing some of the RV parks and campgrounds as some of them do have limits for travel trailer lengths. The travel trailer the girls are adamant we’re getting at the moment is a Forest River Vibe Extreme Lite. It was my favorite too, although it is 32 feet so I don’t think it will make the cut. We did find one travel trailer which was a Salem Cruise Lite by Forest River and came in at 24 feet. I think that might be winning the race. The beauty of that one is it has a murphy queen bed which you can pull up of a day to create extra living space. I thought that was pretty cool, although I am wondering what the potential headaches with that could be?? The other one that was nice was a Jayco Flight (we can’t believe we’re looking at Jayco again – that was our Australian camper trailer. Hope their travel trailers are better!!) and some Winnebago models. One thing I know for sure, time moves super fast. November will be here before we know it and September and October are busy for us, as they are every year. We have a lot to plan, organize, prepare and pack up if we are going to leave in November, including our actual route. I do not want to experience winter again (hahaha and I want to live in Raleigh permanently!!) so we’ll head south and scoot along the bottom to hit the mountain states by May-ish next year. That’s our initial thoughts, which can change at any time. Because you know I don’t like locking myself into anything! What are your tips, recommendations, suggestions based upon what I’ve told you? What are we missing? What should we look out for? How can we solve our problems? What did you love or not love about your RV traveling experiences if you have done them? It’s almost decision time so we’d LOVE any input you can give to help us! 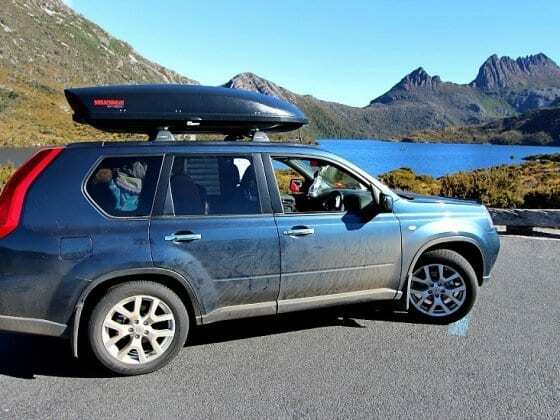 How to Travel around Australia – Caravan or Camper Trailer? I am so excited for your journey to begin! We are teachers and have the summers off to travel so not living in our camper for years but our thoughts were the same as yours in regards to needs. We settled on a 21 foot hybrid travel trailer (I know very small for you guys being so long a trip) but we can tow with our Chevy traverse suv and it fits into a double parking spot. We have a Reese sway bar system that is spectacular and without a doubt needed in the Midwest. We have done Yellowstone and back with no significant sway. I think our next upgrade in a few years will be a 25/27 foot with one slide! Will need a bigger tow vehicle though 🙂 good luck! Can’t wait to follow you guys!!! Thank you so much for your insights Karen!! Super helpful to us. A friend recommended we also look at fifth wheelers which are much smoother and no sway. So much to consider. We’re excited though! the thing which really stuck with me on reading your post. Despite how awesome this adventure looks. From an english perspective, I so desire to explore the national parks of the US – so will be following these posts avidly, once you are on the move! The big thing for me here was that you said as your nomadic life is coming to an end – so interesting to have read how you liked it at the start and what its taken you to find a way back which leaves you having more control in the outcome. Once the visa issues are ironed out. Big respect for holding your dreams and finding a way to making them come true. I brought my kids up in community and have been travelling and searching for my next place to settle and put down roots. Not there yet but am allowing it to unfold. Not there yet but am allowing it to unfold. Yes, The world cup certainly brings people together. It even has people appreciating things that they never thought would be worth appreciating; in your case England! Haha. Akin to the world cup, travel brings people together and so does creating a home in a community. It will be hard to leave Raleigh for sure, but restless spirits will go on, even if it takes a break. In the words of U2, “Outside it’s America”; a place my family and I call home, and still exploring ourselves. Looking forward to your perspective. Thanks Andrew! We’re excited to get going and we know Raleigh will (and always has been) a home we can return to. Enjoy the last two games of the World Cup. I hope it’s an exciting finish. I cannot believe I’m actually cheering for England and looking forward to it. 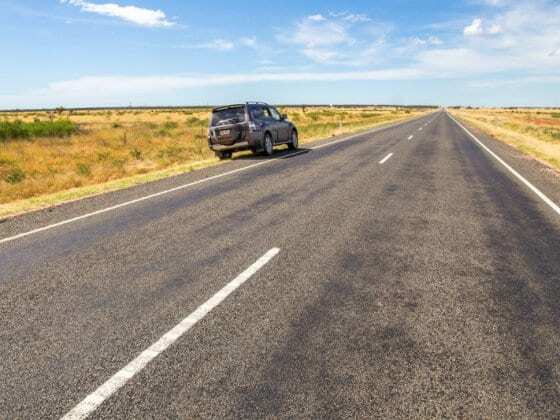 Cant help much with make or model to pick, but as you travel west you will find more of those “open roads.” A lot of highways have slower vehicle lanes, so when you have a significant gain, you can take it easy while compact cars move around you. By timing your trip with southern states in winter and northwest in spring/summer, you will actually avoid most severe weather conditions. However, fire season is summer and it doesn’t matter if your in Arizona or Washington. That makes a lot of sense. We’re always happy to miss severe weather! And fires we’re used to somewhat from Australia. Thank you so much for sharing your insights!! Hey guys….Such awesome news…. Welcome to the family, more like “welcome back” hahah. After living in our RV full time through 43 states over the last 17 months we have a few things to share before you make your decision. If you are down for a wine Skype just let us know….We are back in the States next week. Even you do the mountins and the West Coast, I will still suggest, that you on the return (if you do that) include Texas. This state is much underestimated. It has some wonderful State Parks (smaller than National Parks typically) and the life stile is easy going. If you then go the Gulf of Mexico do not go to Galveston but to Port Aransas. Lovely island with much a Florida feeling yet less commercial. Galveston is too commercial and not that good. When you go west, I will (of course) say you need to go to Seattle. A wonderful city. The best of USA and Europe in one. And when you are there, just go a little further north to Vancouver in Canada. Such a wonderful place. I always call it for cold Sydney. All so take a trip to the Vancouver Island by boat or by seaplane. The plane gives the impression of sizes and it is great fun. I am looking forward to read about you final plan and the trip itself. Thank you for your wonderful tips CArsten. We’ll definitely be going to Seattle and Texas!We recently visited WAco and San Antonio and loved it so want to experience more. Thanks for hte insight re Port Aransas. I’d never heard of it before! Can’t wait to read about your adventure! If you’re ever passing through southern Minnesota or northern Iowa and need a break from the trailer, let me know! I’m very excited for you guys! Oh thank you! I will check that one out. good luck on your decision! We have just finished our trip around Australia (with a Jayco Expanda) and are now looking at travelling the West Coast of the USA with our family of five. To answer your question, we are looking at the Grand Designs travel trailers, which have a lot of what you’re looking for. The feedback on the Forest River trailers seems to be that they are poor quality (but that isn’t something I know firsthand). Please let us know what you have chosen? Please also let me know if you’d be interested in selling-on your set-up (car+trailer) to another travelling family after you’ve finished, particularly if you plan to be finished in June/July 2019…. (which is when we plan to arrive). I’m excited for you and your adventure around the USA! I’ve been road tripping around the US and Canada for 3 years now, but staying in Airbnb apts, often shared accommodation because I’m traveling alone and tend to turn into a hermit while staying alone too long. I have tossed around the idea of buying an RV so I’ll be interested in seeing what you decide. Sorry, can’t offer any advice or assistance with your RV shopping. I do know several national parks have limitations for the length of vehicle – such as Going to the Sun Road in Glacier NP and also Big Bend NP. So far as USA travel I have to say Port Aransas and any Texas beaches will likely be a disappointment for anyone from Australia. But mountains! Ah so many mountain ranges and exceptional National Parks to visit, even in Texas (Big Bend and Guadalupe Mountains) Enjoy your travels!!! Cool, will check insta and look forward to reading about your RV selection soon. So, no mountains in Australia explains why I meet SO many Aussies in Whistler and Banff and Jasper LOL. Enjoy road tripping around the USA, hope our paths cross one of these days! I, Too, reside in Raleigh, love it!!!! However, I along with my fellow, have decided to travel across the USA come June. We have been exploring 5th wheelers/ RV’s and with the 5th wheeler would have to trade in our vehicles for a big enough truck to haul our rig. Are you on the road now? What have you decided?